We Are A Team Of Experienced And Highly Skilled Boston Auto Accident Lawyers With Expertise In All Kinds of Massachusetts Car Accident Cases. 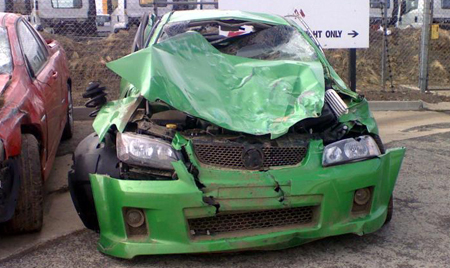 There are about 150,000 Massachusetts car accidents in the Commonwealth each year. Of these accidents, approximately 4,500 result in serious injuries to the Massachusetts victims. Approximately 500 result in deaths. These Massachusetts car accident statistics are sobering; they do not even begin, however, to describe the emotional effect that Massachusetts car accidents have on both Massachusetts victims and their families. The tenacious and highly skilled Boston, Massachusetts auto accident legal advocates at the Boston, Massachusetts Law Offices of Gilbert R. Hoy, Jr. and Affiliates have, for many years, assisted Massachusetts victims and the families of those injured in Massachusetts auto accidents from all over our state. Our group of expert, highly skilled Boston auto crash attorneys will listen to all of your concerns, explain all aspects of your Massachusetts claim, and fight tirelessly on your behalf to get you the maximum money damages. The Boston, MA Law Offices of Gilbert R. Hoy, Jr. and Affiliates has handled thousands of Massachusetts car accident personal injury cases for Massachusetts residents that have been injured or killed in Massachusetts car accidents. If you have been hurt in a Massachusetts car accident, you should call one of our Boston auto accident attorneys or Boston wrongful death attorneys right away. This is because, in Massachusetts, there is a Statute of Limitations which puts a time deadline on when a person can bring a Massachusetts lawsuit for injuries sustained in a Massachusetts motor vehicle crash. Please contact our expert Boston, Massachusetts auto accident attorneys today at 617-787-3700 if a loved one has been killed in a Massachusetts car accident. Our group of expert, Massachusetts wrongful death attorneys will help you. 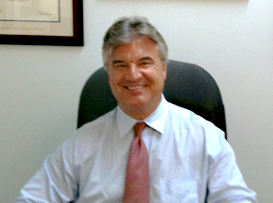 After graduating with a law degree from the University of Virginia School of Law in Charlottesville, Virginia in 1984, Attorney Hoy began developing his legal talents by practicing law at top national law firms in Chicago, Illinois, on Wall Street in New York City, New York, and later in Boston's Financial District. 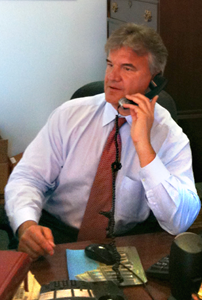 During 1995, Attorney Hoy made the decision to branch out on his own. Gil wanted to represent Massachusetts residents hurt in Massachusetts personal injury accidents, not just big businesses and Massachusetts corporations. Hence, he established the Massachusetts Law Offices of Gilbert R. Hoy, Jr. and Affiliates, which has since successfully helped and represented many Boston, Massachusetts citizens who have been in need of Massachusetts top of the line legal counsel. The Boston, MA Law Offices of Gilbert R. Hoy, Jr. and Affiliates is a team of Massachusetts injury lawyers from some of the best law offices in Massachusetts who have been personally selected by Attorney Hoy because of their skill and experience in representing Boston, MA personal injury clients. Many of the Boston, MA car accident lawyers and Boston, MA wrongful death lawyers who are available to our Boston, MA accident injury clients have been regularly chosen and selected as among the very best Massachusetts auto accident lawyers and Massachusetts wrongful death lawyers. Our Boston, Massachusetts personal injury attorneys specialize in Boston, Massachusetts auto accident personal injury cases. Our highly skilled, expert Boston, MA car accident lawyers are here to assist you with your personal legal needs. Gil Hoy believes very strongly in giving back to the local community through meaningful and effective public service and public duty. Gil was elected by the Brookline voters as a Brookline Selectman on four separate occasions -- the Town's highest elected office -- for a total period of 12 years, and he also effectively represents the Town of Brookline as an elected state delegate at the yearly Democratic State Conventions. Please contact our Boston, MA injury attorneys today to schedule a confidential meeting where we can discuss your personal Massachusetts legal needs at (617) 787-3700 or email us at info@gilhoylaw.com. In addition to our Boston, Massachusetts car accident injury clients, our highly skilled, expert Boston, Massachusetts auto accident lawyers represent Massachusetts auto accident injury victims from throughout the Commonwealth. Our Boston, MA Auto Accident Law Office Is Here To Help You. Call the Massachusetts Attorneys At Our Boston, Massachusetts Car Accident Law Firm 24/7 at 617-787-3700. Your Needs Are Our Top Priority!